Young and innovative Belgian/German company, creating tools for medical device companies, and for requirements management. Mission: Help medical device companies to manage their documentation in a structured way, in order to speed up the process of certification. Our applications generate the traceability, emphasize the missing elements in the design, provide a risk analysis. The Design History File needed for ISO13485 and FDA certification is made much easier with our application. MatrixALM: an online application to help small medical devices companies organize their documentation to ease all agency approvals. The emphasis is made on the traceability and the audit. 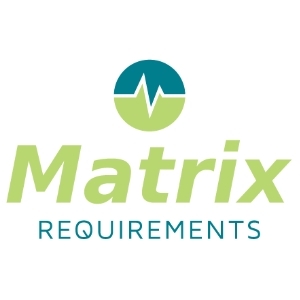 MatrixQMS: an online application to help small medical devices companies manage their Quality System (ISO13485, ISO27001, ISO9001, or other). The application includes the ability to manage the risk analysis of the processes. Matrix Requirements is ISO13485:2016 certified.